It’s the year 2277. For fifty years, Earth has received mysterious data transmissions from random locations in deep space. The streams include advanced technology, allowing Humans to achieve faster-than-light travel virtually overnight. As we prepare to take our first, tentative steps into interstellar space, we know almost nothing about our alien benefactors, and their motivations remain unexplained. 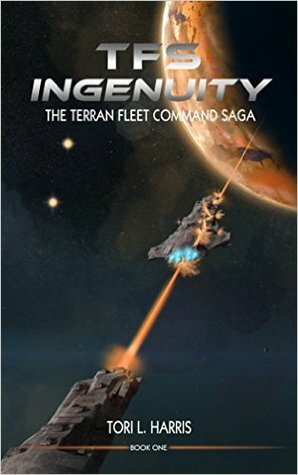 While completing their shakedown cruise, Captain Tom Prescott and the crew of the first Terran Fleet Command starship, TFS Ingenuity, stumble into a first contact situation. They learn that Earth is not the first civilization granted access to the stars before their time – and how this Faustian gift has inevitably led to centuries of interstellar war. Humanity’s existence hangs in the balance as a powerful alliance assembles a preemptive military strike, believing it to be their only option to protect themselves … from us. Prescott and his small, initially unarmed starship must serve as our only line of defense. Ingenuity is our only hope.